Wyndham City Libraries, “Samuel Thomas Staughton (1838-1901),” Wyndham History, accessed April 20, 2019, http://wyndhamhistory.net.au/index.php/items/show/268. Samuel Thomas Staughton was born in Hertford England in 1838, the second son of Simon Staughton. Simon bought his family to Port Phillip in 1841. They settled on the Werribee River, where his father acquired a large pastoral run of over 70,000 acres known as Exford. Before his death in 1863 Simon divided Exford into four properties for his sons. Samuel acquired the section now called Eynesbury. Samuel returned to England, aged 13 for schooling at Mill Hill Grammar School and later King's College London. He was called to the Bar at Lincoln's Inn in 1860, but did not practise. After inheriting his share of his father's estate 1863, he added more land and became large landowner and successful pastoralist in Melton district. He was a progressive farmer and his property Eynesbury boasted modern and well maintained facilities for his workers and animals. He devised rivetted iron water tanks and used shelter plantations. He also owned city property. On his death his estate was valued at £116,000. Samuel married Elizabeth Mary Ann (Lizzie) Hopkins in 1874. Together they had 3 sons and 4 daughters, including Captain Samuel Staughton, who served in the Boer War. Lizzie was a founding member of the Australian Women’s National League, a conservative women's organisation established in 1904 to support the monarchy and empire, to combat socialism, educate women in politics and safeguard the interests of the home, women and children. 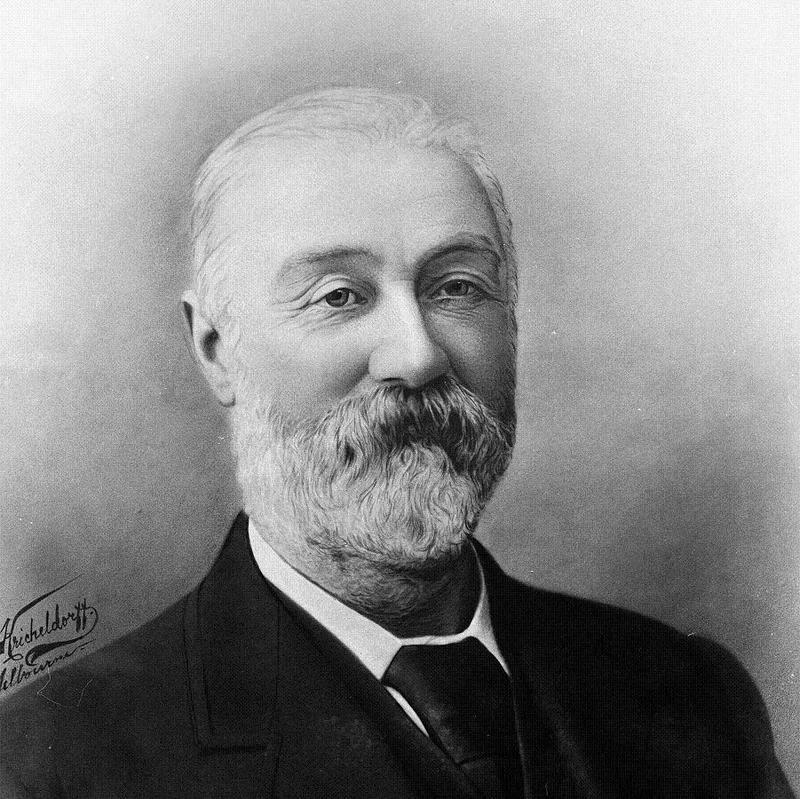 Active in local and state politics, Samuel was a member of the Braybrook District Road Board and Shire President of Werribee from 1884-1885. He was a Member of the Legislative Assembly for West Bourke in 1880, and again from 1883 until his death in 1901 from acute bronchial asthma. Until a couple of months before his death Samuel had enjoyed robust health, but declined after a bout of influenza. He died at his home, St Neots, 246 Domain Road South Yarra after a severe attack of acute bronchial asthma. He is buried in the Kew cemetery. Samuel was remembered as a generous, genial and good hearted man who hated anything that 'savoured of humbug'.